Kids Capers Play Café is the perfect stopover for unlimited fun and exploration for kids. 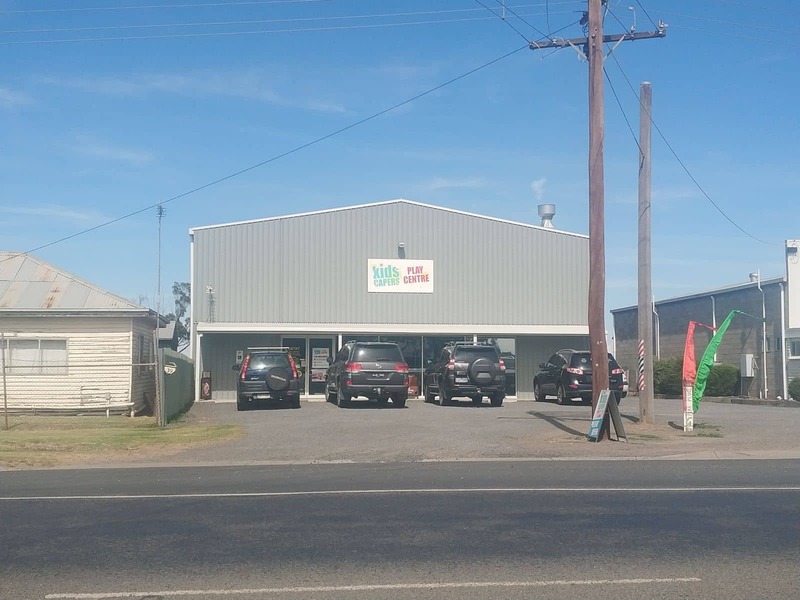 The only facility of its kind in the Wimmera and Grampians region, it is little wonder that this is a favourite spot for families living and travelling in the area. The café is a kids’ wonderland that boasts vibrant colours, modern play equipment and a safe setting to stimulate the senses and enhance creative play. Kids Capers is specially designed for kids aged between 1-10 years of age, allowing parents and carers to relax and unwind as the kids let loose and play to their heart’s content. From track rider equipment to giant slides and climbing equipment designed for exploring, there will be no shortage of indoor fun. What’s more, there is a dedicated play area that is specifically made for babies and toddlers to ensure that all age groups are well looked after. Parents can sit back and enjoy a cup of freshly brewed coffee as they watch their children play and take a much-needed break. The café onsite serves an array of cakes and slices. Hot tasty meals are also served as well as children’s meals. 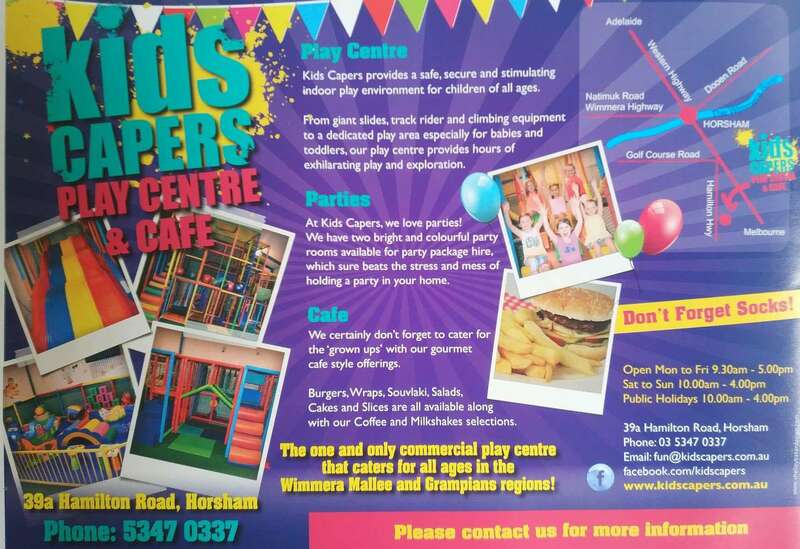 Kids Capers Play Café is also the perfect party destination with several different party packages available. 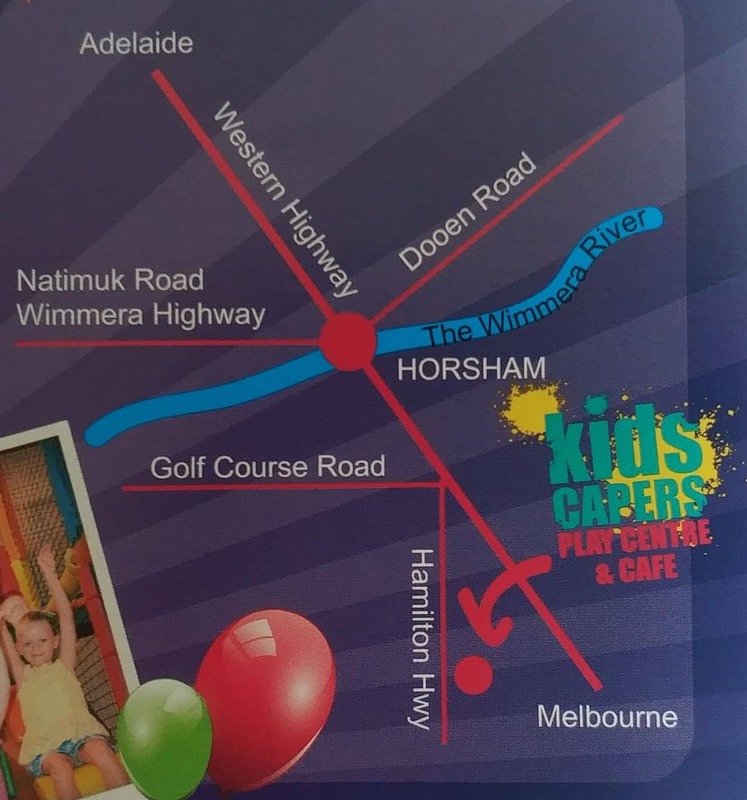 Parties include 1.5 hours in the party room, unlimited play, chips, cheezels, fairy bread as well as hot items, cordial and water whilst in the party room. You are welcome to bring your own cake, however there is a handling fee of around $5.00. 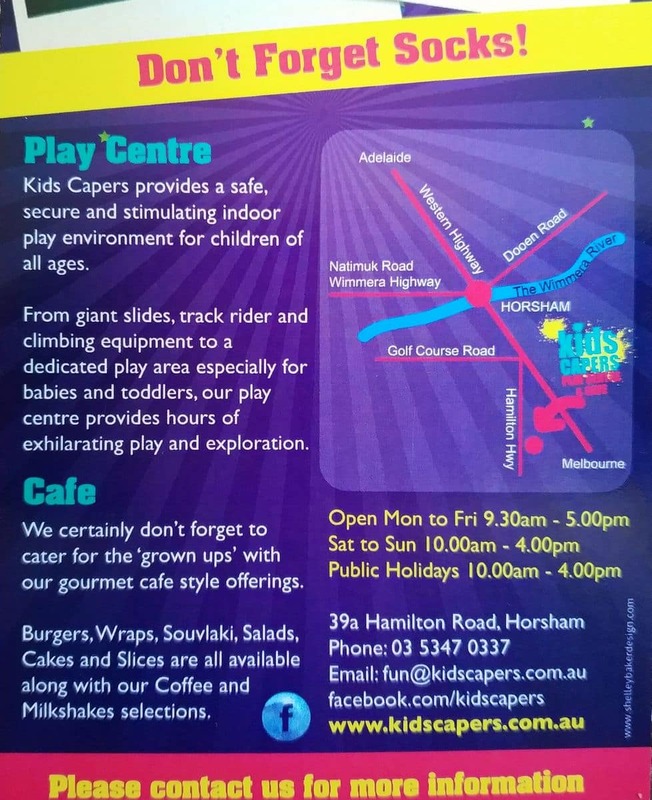 Whether you are seeing out a cold rainy day, looking to catch up in a kid friendly cafe, or simply need a breather from the kids after a hectic day, Kids Capers Play Café is a great place to visit.